Try This Session Over The Christmas Holidays ~ Feel For The Water! Advice & Tips to Improve Your Swimming. Here's a nice swim workout for you to try some time over the Christmas period. 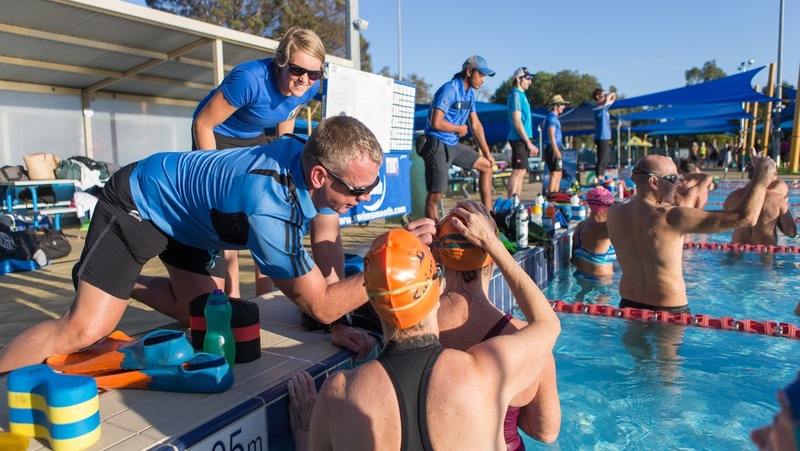 It's session 124 from our Virtual Squad in the Swim Smooth Guru and is a good mix of technique focusing on your breathing and aerobic endurance. We recommend you use a Finis Tempo Trainer Pro to keep you moving through the swims at a good pace. We are going to set the Tempo Trainer to beep once per 50m (or yards) but at a deliberately slow pace for you so that you can easily get ahead of it. When you finish each swim wait for it to catch up and then set off for the next swim. We call this mode of use "beating the beeper" and it's a really simple way of swimming a session on a fixed turn-around time. For non-subscribers, to calculate the beeper times manually, first you must know your CSS pace per 100. Now halve this number (we're going to beep every 50) and add on the RM Cycle number below. So if your CSS pace is 1:50 per 100m, half is 55 seconds. For RM Cycle 4 that gives a beeper setting of 59 seconds. 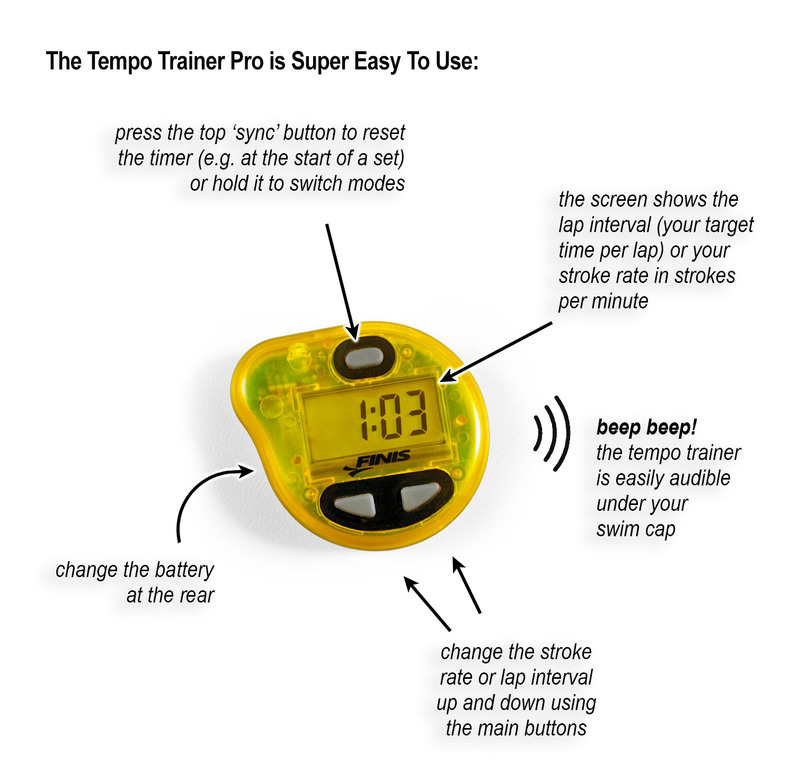 Put the Tempo Trainer Pro in mode 2, adjust to 0:59 and away you go! You can press the top button at any time to restart the timer. If you are lucky you might even have a coach handy to adjust your beeper for you! 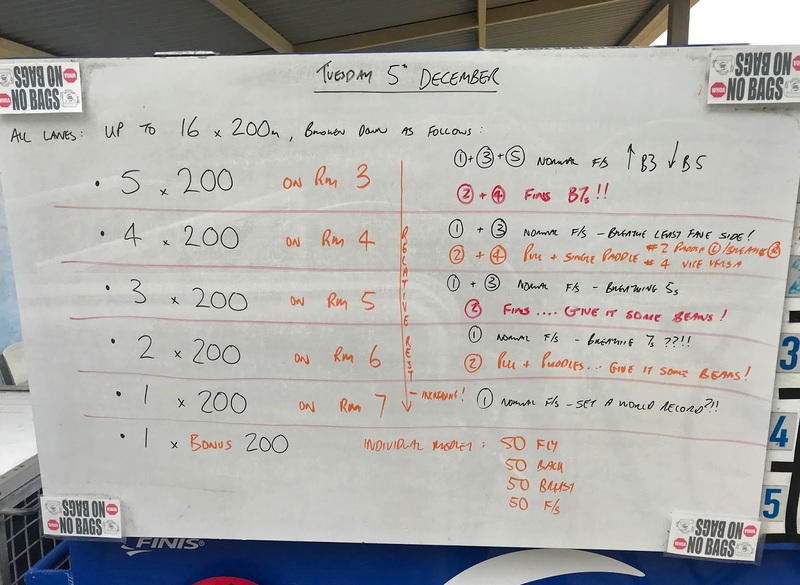 Your Christmas Session: Set A World Record?? Notice as you go through the session that the RM Cycle increases by one each time - so just slip the Tempo Trainer out from under your cap, add 1 to the setting and put it back. Easy! 2. pull buoy and paddles - FAST! 1x 200 freestyle - no beeper - SET A WORLD RECORD?!! whats the rest period between reps and sets? How would you recommend paring down the workout for a relatively beginner swimmer? I've done 2 sprint triathlons this past year, started lap swimming from scratch one year ago, and the most total distance I've ever done in a swim session is around 1500m. Hey Michael sounds like you are doing great for just starting a year ago. I would recommend you keep the 200 distance and do 2 x 200 of each set, using the prescribed beeper settings for each. Drop the world record 200 and the bonus and this will give you 1600m. Enjoy!